Dorset Police Male Voice Choir will be in concert at Holtwood on Saturday 17th June at 7.30. Tickets at £8 are now available from Elizabeth James. More details from (01202) 882876. On 9th July at 6.00 Holtwood and our local Anglicans will celebrate Songs of Praise on Holt Village Green with Revd Suzie Allen and Revd Nigel Deller and with music led by HMB. If it’s wet we’ll be in St James’ Church, Holt – so pop it into your diary now! A date for your diary! 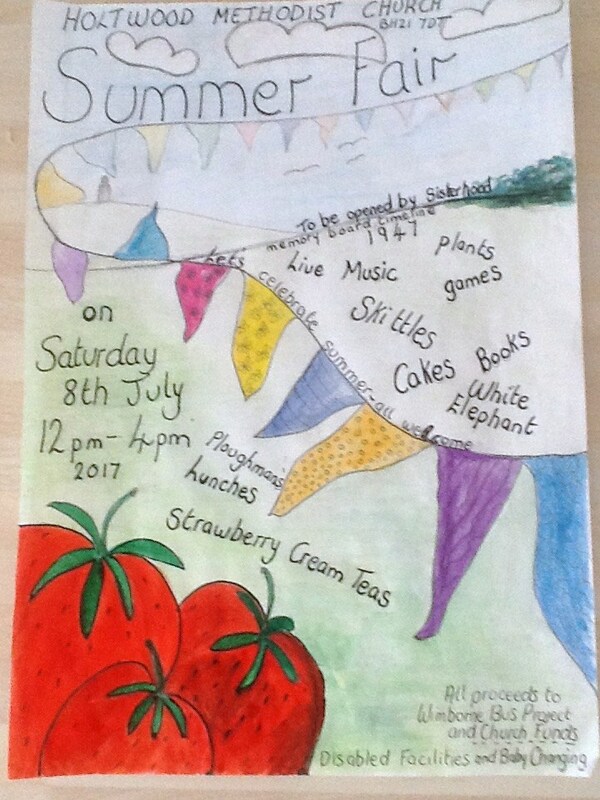 Holtwood Summer Fayre will be on Saturday 8th July between 12.00 and 4.00. Come along for strawberry cream teas, stalls of of all types, games and musicial entertainment all day long – and meet up with friends old and new!